LeBron James’ decision to leave the Cleveland Cavaliers opened the title of best player in the Eastern Conference. Brook Lopez believes it belongs to Giannis Antetokounmpo. Antetokounmpo, though he’s only 23 years old, is already deserving of that praise. Last season, he averaged 26.9 points, 10 rebounds, 4.8 assists, 1.5 steals and 1.4 blocks. Antetokounmpo earned his second All-Star nod, finished sixth in MVP voting and was second-team All-NBA. We’re not going to disagree with Lopez’s assessment. Yes, personal preference could lean toward Kawhi Leonard or Joel Embiid, Kyrie Irving or John Wall. But only Leonard is as versatile as Antetokounmpo, and the now-Toronto Raptors forward is working back from a serious injury. 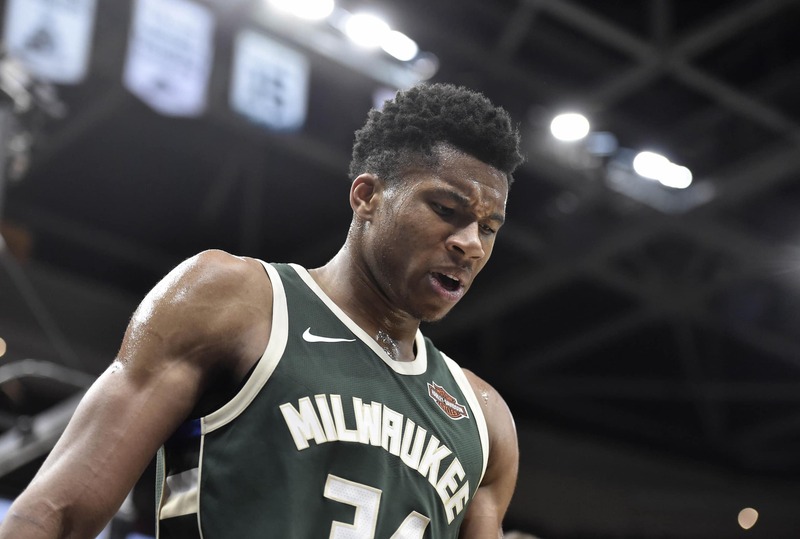 Given the way Antetokounmpo has developed in his five short seasons, it’s easy to see him retaining the “Best in the East” title for at least a half-decade. Thanks for moving over, LeBron.